The fresh crop from Kenya has arrived! 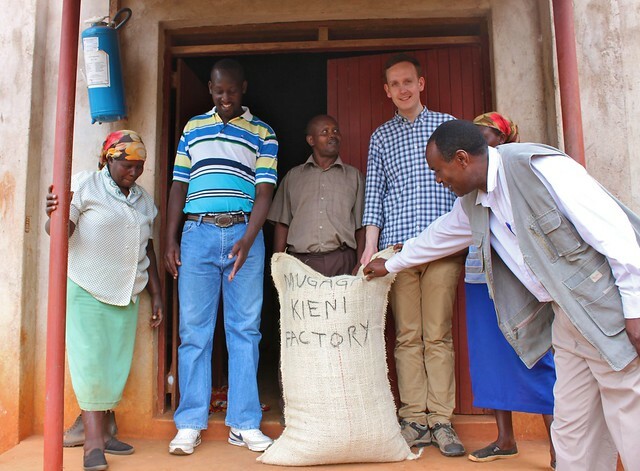 We're very excited to be able to present coffee from the Kieni wet mill again this year. It's the first time we've bought coffee from the same wet mill two years in a row in Kenya, and we're very excited about it. Our wish is to build a relationship with the farmers we buy from, and shopping around every year for a new coffee isn't going to do that. 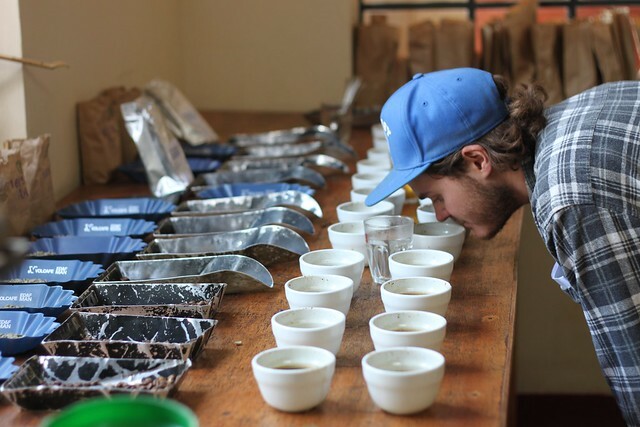 So when Casper and Klaus were in Kenya in January and cupped many different coffees, they were glad to find that Kieni this year was the best on the tables for us. The latter one contains a lot of information on this particular coffee for those of you that want to know more. The taste profile of this years lot is very similar to that of last year, as we also noted when we cupped it down there. But the fresh crop of course tastes... well... fresher! Much more pronounced acidity and sweeter. We're also getting a lot more gooseberry aromas on top of the blackcurrant, and the intensity of the aromas are spectacular. The coffee is available from today in our coffee shop and online.